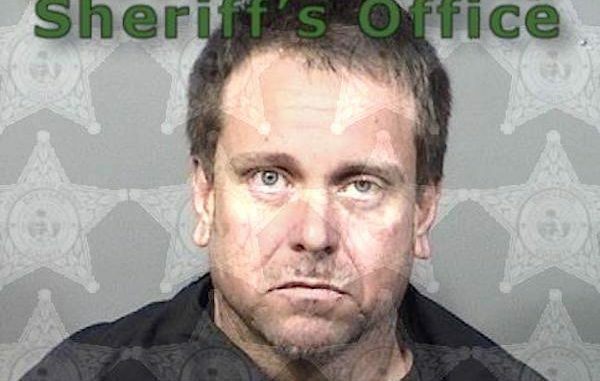 MICCO – A 41-year-old Barefoot Bay man was arrested after he wouldn’t allow paramedics in his home to treat a woman laying on the floor, according to the Brevard County Sheriff’s Office. Christopher Jon Bauer, of Micco, was arrested for Failure to Obey Police when he refused to open the door to fire rescue. The incident occurred last Wednesday when a 911 call was received at the 900 block of Waterway Drive in Barefoot Bay. A fire medic arrived and saw a woman laying on the floor through the front window while Bauer refused to open the door. The woman appeared to be in distress, according to the affidavit. “While communicating with Mr. Bauer in reference to the call, he stated to leave his property,” the deputy said. Deputies advised Bauer that his door was going to be breached. Bauer unlocked the door, at which time he was arrested. More: When did Micco and Barefoot Bay become Sebastian? Fire rescue treated the woman, her condition is unknown. Last month, Bauer and a woman were charged with drug trafficking after they found more than 14 grams of heroin.